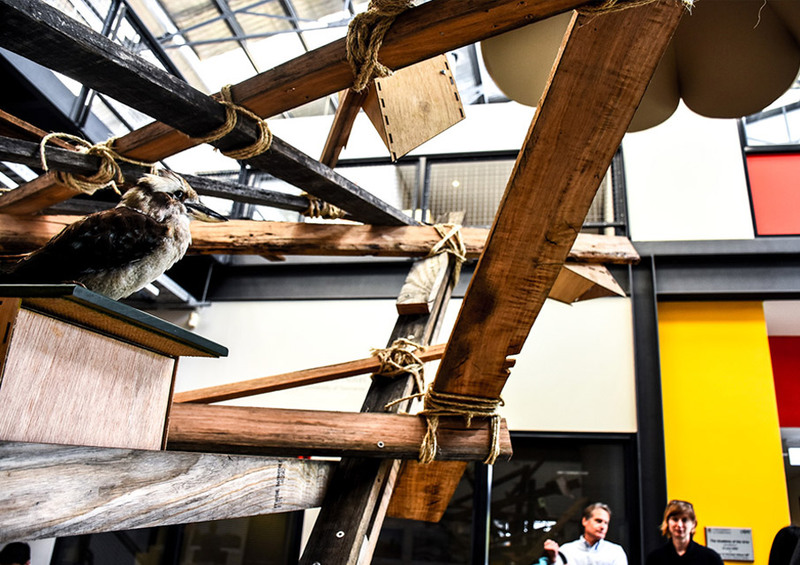 Through Tasmania Island Ark we are engaging local communities to help care for their environment and wildlife through art, research and education. 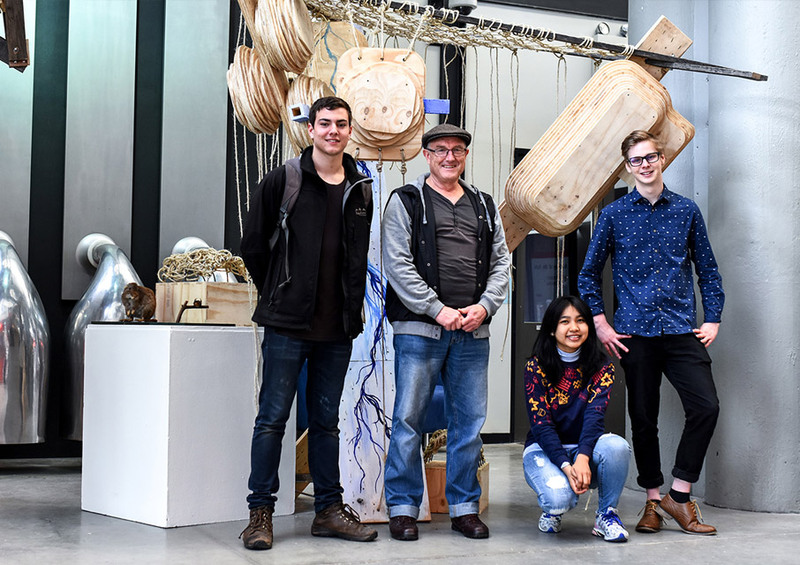 As part of our Tasmania Island Ark program, which is working to relink 6000 hectares of habitat across the Tasmanian midlands, Architecture and Design students from the University of Tasmania have developed a chain of ‘species hotels’. These purpose-built, sculptural structures provide habitat for birds and small mammals including bats. The rolling hills of the Tasmanian midlands serve as a vital refuge for some of Australia’s most critically endangered species, including Tasmanian Devils, Eastern-tailed Quolls, Eastern Barred Bandicoots and Tasmanian Bettongs. More than 200 years of farming, however, has carved up vital habitat into small fragments which sit in a sea of agricultural production. These remaining patches are vulnerable to further loss of habitat, invasion by weeds and feral animals, and the impacts of climate change. Tasmania Island Ark is working with researchers, local landholders, businesses and government to manage these threats, improve habitat and relink the land by creating wildlife corridors to connect the Eastern Tiers to the Central Highlands. One thousand hectares of native plants have already been put into the ground, with five thousand more hectares to go. While the habitat grows, our Species Hotels are exploring how public art can contribute to habitat restoration whilst communicating the intent of the Island Ark Project to the community and visitors. 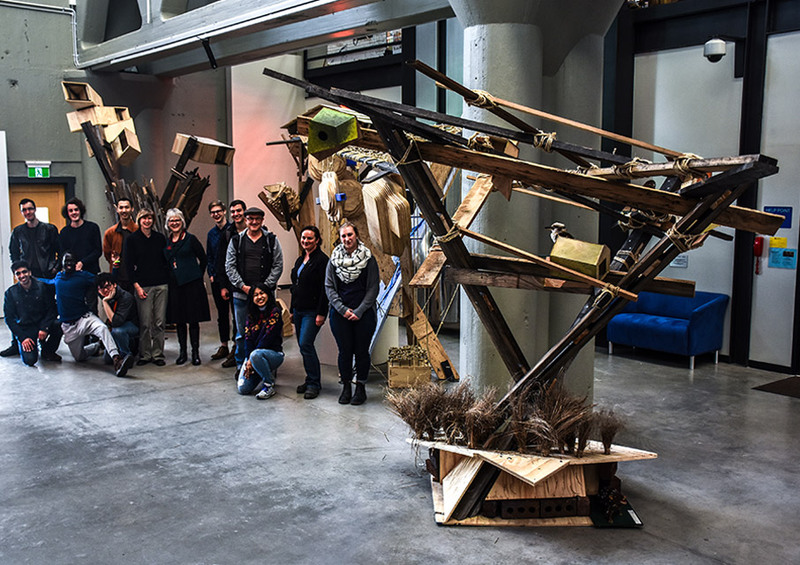 More than 100 artists, scientists and school children were engaged in the design and building process over an intensive six-week period before the hotels were featured in an exhibition at the Tasmanian Academy Gallery in Launceston. The Species Hotels are located on the banks of the Macquarie River at Ross, where 200,000 trees have already been planted. These hotels represent some of the key things that native wildlife need to live and thrive in a rich and diverse landscape – shelter and access to food. The hotels are designed in a way to encourage insects to nest, acting as a form of room service for birds, bats and other mammals. The project is a collaboration between Greening Australia and the University’s School of Architecture and Design, the School of Land and Food, the Tasmanian College of the Arts and the ARC Centre for Forest Value, with funding from the Ian Potter Foundation.